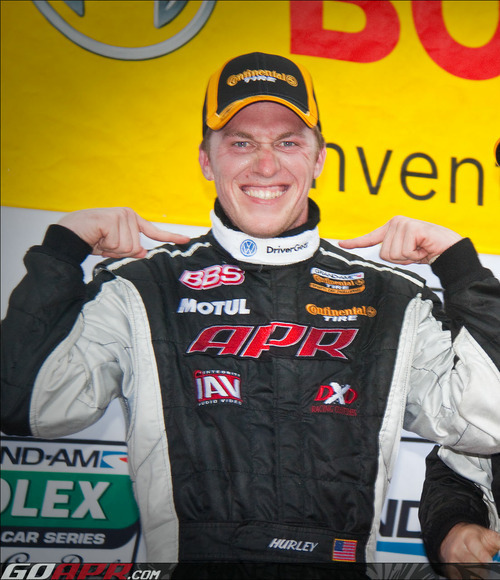 After a successful campaign together last year, Fortis Watches has once again signed on as the official timepiece of Josh Hurley of the APR Motorsport Team for the 2011 Continental Tire Sports Car Challenge Season. “I’m so proud to be representing Fortis Watches, creator of the automatic timepiece. They’re such a great fit for motorsport fans. Their passion and commitment to the engineering of their timepieces complements our passion and commitment to the engineering of our cars,” Josh Hurley said. After a rough start to this season at Daytona, the APR Motorsport Team and Josh Hurley are looking to rebound this weekend at Homestead Miami. Be sure to check out Josh Hurley and his Fortis Spaceleader limited edition watch this weekend at the Homestead Miami Grand Prix!